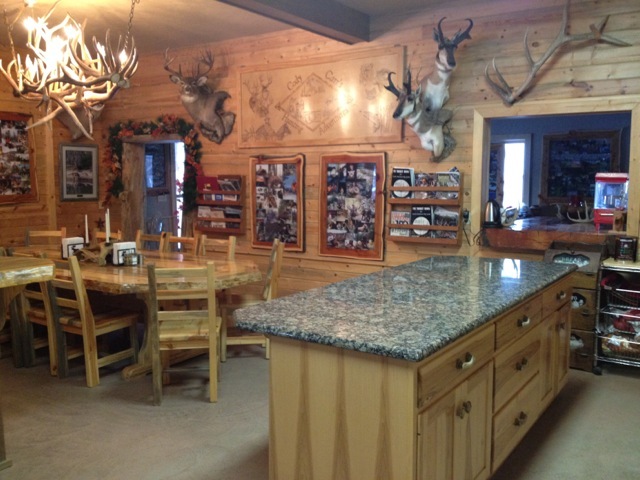 Our hunting lodge is located in Trout Creek, Montana and is surrounded with beautiful mountain views. We offer a comfortable, country-style atmosphere inside and out. Our breakfast and dinner meals are of top quality and all you can eat. Lunches are prepared by you. We set out a wide variety of food for your lunch and you prepare the type and amount you need to get you through the day. If you have special dietary needs, please inform us in advance and we will meet your needs. We want your stay to be enjoyable. Our hunting lodge is located 7 miles outside of Plains, Montana, and is surrounded with beautiful mountain views. We offer a comfortable, country-style atmosphere inside and out. We recently added to our sleeping quarters two charming log cabins. Showers and restrooms are located upstairs and downstairs in the lodge, as well as in each cabin. All bedding and towels are provided. After a long day of hunting, relax in our hot tub and reflect on the hunting adventures of the day! Linens provided: towels, bedding, etc.